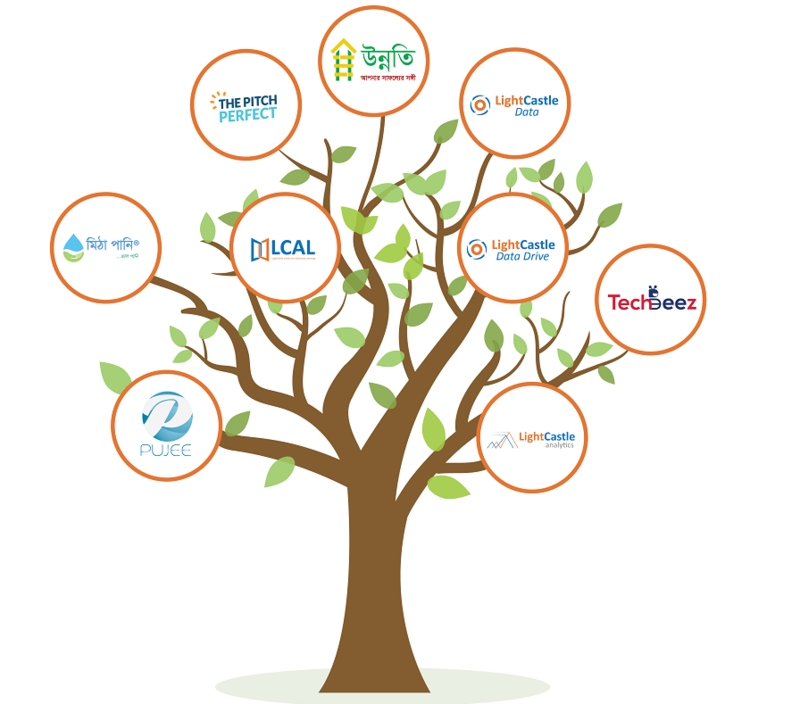 LightCastle Partners aims to improve the skills and knowledge of entrepreneurs through mentorship and help them create a sustainable model through market linkage and networking. Our main goal at the end is to Attract, Unite, Mentor, Connect and Empower small and medium businesses (SMBs) in an effort to improve their overall industry value chains. The journey we take entrepreneurs on is comprised of three distinctive features. – Assimilation: We ATTRACT a like-minded group of people and UNITE them by fostering a sense of trust among the members. – Knowledge transfer: Using our experience from working with various industries we MENTOR the budding entrepreneurs. We bestow upon them specialized and structured knowledge and skills such as managerial, marketing, financial, completely adapted to the local context. – Market linkage and Access to Capital: We facilitate forward market linkage and ACCESS TO FINANCE using our vast NETWORK in the private and public sectors and eventually aid in developing a sustainable model to GROW THEIR BUSINESSES. At LightCastle (LCP), we are always on the lookout for investing in verticals where we see big opportunities arising. If there is viability, we deploy ourselves to launch Strategic Business Units (be social enterprises or technology avenues). We believe in enterprise verticals to understand and solve the most pressing problems. By delving into pilot to course-correcting, where necessary, to establishing to scaling, we aim to build lasting solutions to better serve our community’s needs. Our current investments range from ICT based initiatives to social enterprises in WASH and Agro.